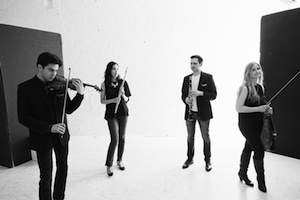 The Frisson ensemble features the best and the brightest of classical music’s rising stars performing works by Mozart, Debussy, de Wailly, Reger, von Dohnányi, Britten, and Henryson. Frisson ensemble. Photography by Travis Curry.